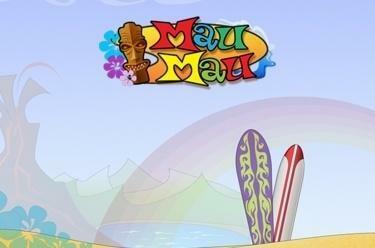 Play Mau Mau online for free now! Change of suit, penalty cards - it's all happening with Mau Mau! Mau Mau is a fast, simple card game for 2 to 5 players that is particularly popular in Germany, Austria and Brazil. Speed, tactics and luck are paramount in this game - and sometimes even a little bit of schadenfreude. Your aim: Be the first to get rid of all your cards! But be careful: Even if you are already on route to victory a cleverly played action card by an opponent may change everything! Your aim is to be the first to discard all of your hand cards. Crucial is the top card of the discard pile - when it's your turn you can put either cards of the same suit or the same value on this pile. If none of your cards matches the top card of the discard pile you need to take a new card. Action cards with which you can make the next player e.g. pick up 2 penalty cards, miss a go or change the direction of play can create sudden turning points for the game. As a general rule for Mau Mau: The more players, the more fun!